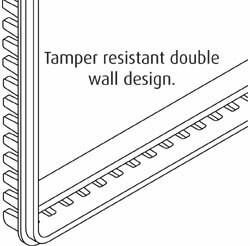 Thermostat Protectors help prevent vandalism, damage and tampering of thermostats and energy sensors. 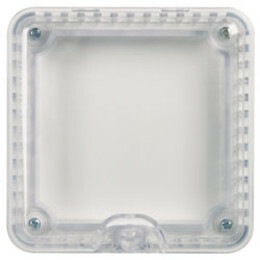 Moulded in clear, heavy-duty polycarbonate material, these protective covers are recommended for areas where misuse and vandalism to thermostats and energy sensors may result in an irritating and expensive problem. Holes in the frame allow air to circulate freely for proper operation of the thermostat, but an interior wall prevents any tampering to the controls with a small object. The covers are aesthetically appealing and easy to install. Suitable for flush or surface mounted applications. 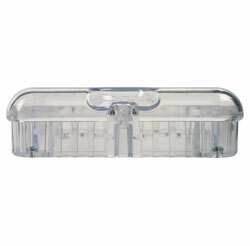 Larger covers available (STI 9105 and STI 9110). 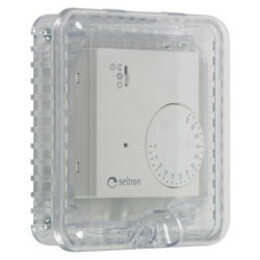 Thermostat Protectors retrofit over the existing device and provide protection from unwanted use. For added protection against abuse, they come complete with a lock and key assembly, and are supplied with a full fixing kit.